I spent the better part of New Year's Day analyzing things. At the request of my husband, I had to catch up on tracking my expenses. That caused me to notice that I bought a lot cupcakes in 2013. When I wanted to take a break from my expenses, I spent some time looking at my past Instagram photos, and studied Statigram statistics. It was not hard to notice that I not only spent a lot of money on cupcakes, but I also put my sweet tooth indulgences on Instagram. 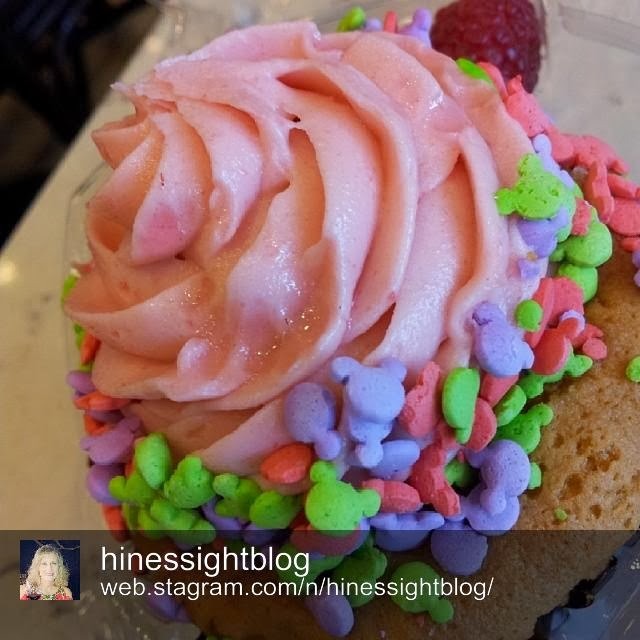 This pink cupcake is currently the cupcake IG star of my feed. 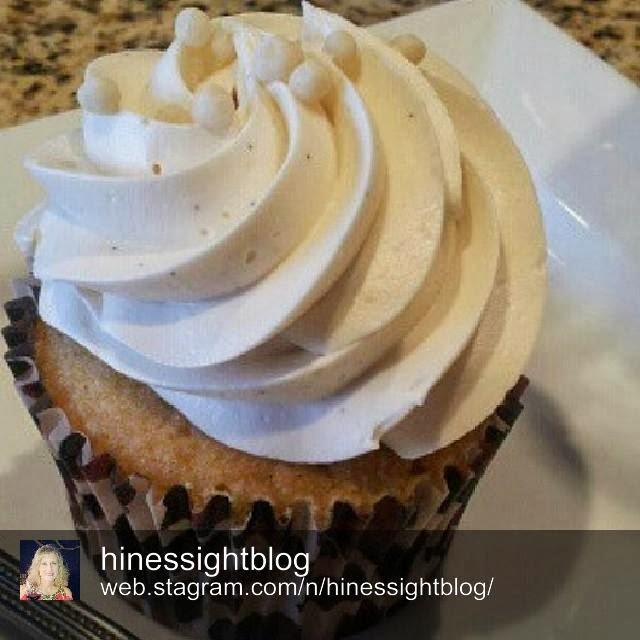 No other cupcake got the attention that this sweet delight from Disney's Grand Floridian did on Instagram in 2013. The cupcake was good, but not as tasty as this cupcake that I devoured in Raleigh earlier in the year. But yet, this cupcake did poorly in my IG feed. It made a debut at 6:49 pm on Thursday, Feb.28, 2013 with 11 likes. No one said, "Yum!" or "You're going to get fat!" or anything at all about the cupcake. I don't know what my follower numbers were in February, but my guess is that this photo was ignored by, at least 250 of you, when you scrolled through it on your feed. We always want to make ourselves better so I started studying more of my photos, and looking at my engagement to see how I can improve this year. I also dug a little deeper into stats. Yes, I was avoiding those finances at all costs. For the first time, I took note of when my stats suggested would be the best time to post photos. What is the Best Time to Post to Instagram? For me, stats show that the afternoon from 12 pm to 5 pm on Monday, Thursday, Friday, and Sunday is ideal. Thursday and Friday works best at 5 pm. Wednesday works best around 12 pm. Guess what? I rarely post during these times at all unless I'm traveling because I'm usually at the bus stop, helping with my son's homework, breaking up sibling fights, prepping dinner, and living a very ordinary life as a mom. I also miss a lot of your photos during this time frame, too because I am hardly ever looking at any photo this time of day. These stats made me realize that I'm missing out on engaging with you so I'm going to try to post at different times in 2014, if possible. I'm not always consistent either due to the demands of motherhood, and I think we all know that consistency is important to build relationships. Katja discussed this topic in her Instagram book this year. Many of my Skimbaco colleagues do a "Good Morning" photo every day. Unfortunately, I just don't get out enough or take good enough scenic photos to make that type of consistency work for me. I am going to continue my #HinesSightBlogNC every weekend, but I've got to find the right time of day. I was doing Saturday around 10 am, but Statigram says 8 am is better.I'm still in bed at 8 am so that's not good. I may now shoot for Sunday afternoon around 4 pm. I also did something else for fun as an experiment. I took the same photo, edited it differently for IG, and posted it on Wednesday, January 1 at 3:10 pm. According to my stats, Wednesday is not the best day for me to post to Instagram. It appears to the be lightest day for my engagement. And, of course, this Wednesday just happened to be a holiday. But, already the photo has performed better this time around than last time. 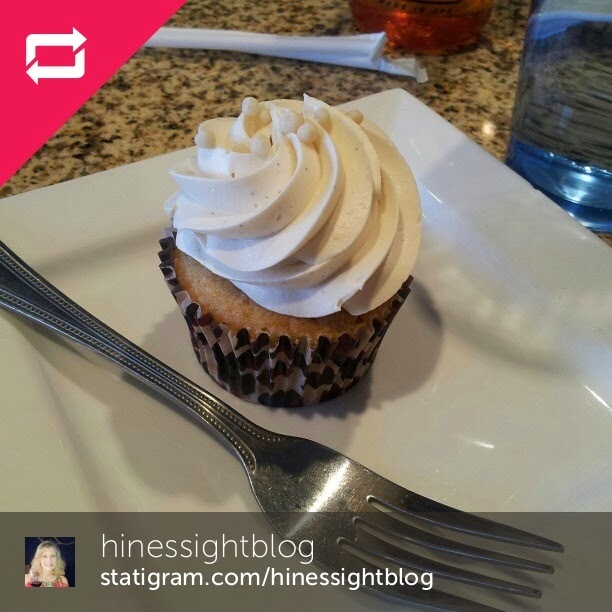 Is the photo more appealing now that the focus is closer in on the cupcake? Do you think timing makes a difference? What time of day do you use Instagram the most? 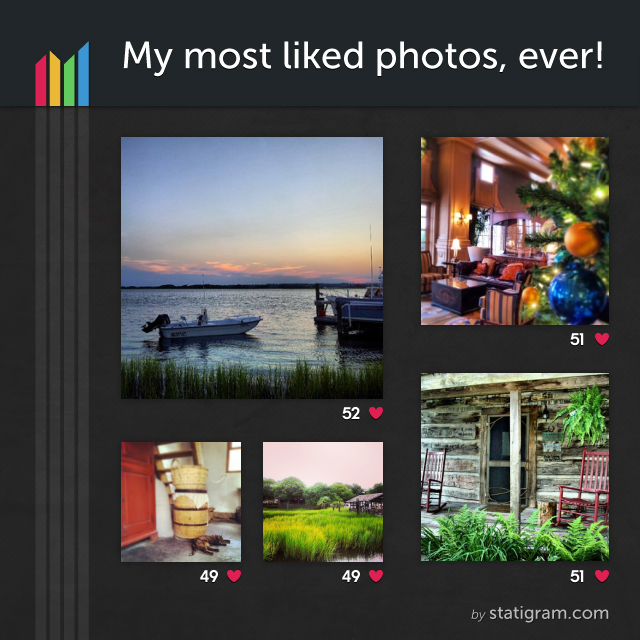 How often do you view photos?